We went to Old Navy to buy some white clothing and found that most of the items were on sale and perfect to experiment with. 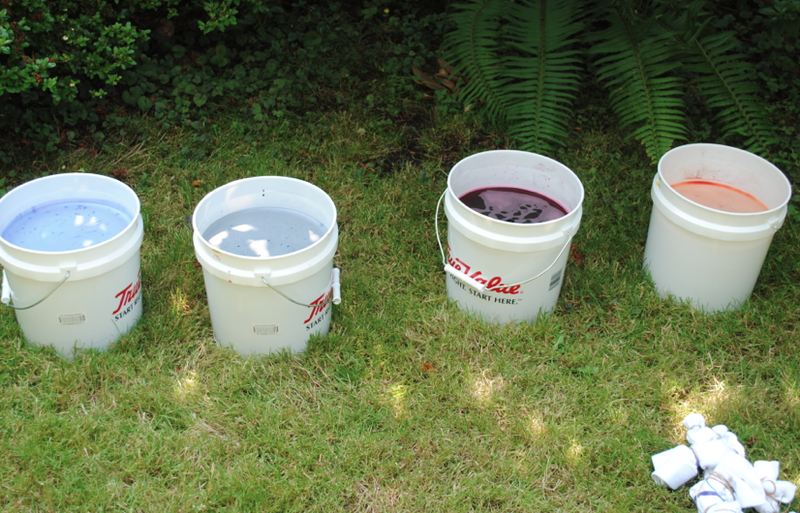 We bought the RIT dye at a local drugstore and buckets from a hardware store. With the rubber bands and some instructions courtesy YouTube on how to make cool designs, we were all set to be the COOL DUDES we know we are. 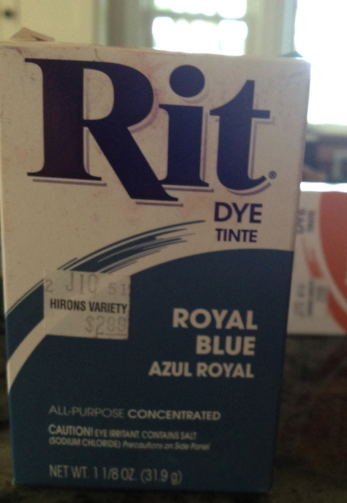 We followed the sheet of paper in the RIT dye boxes, which was very clear and easy to understand. 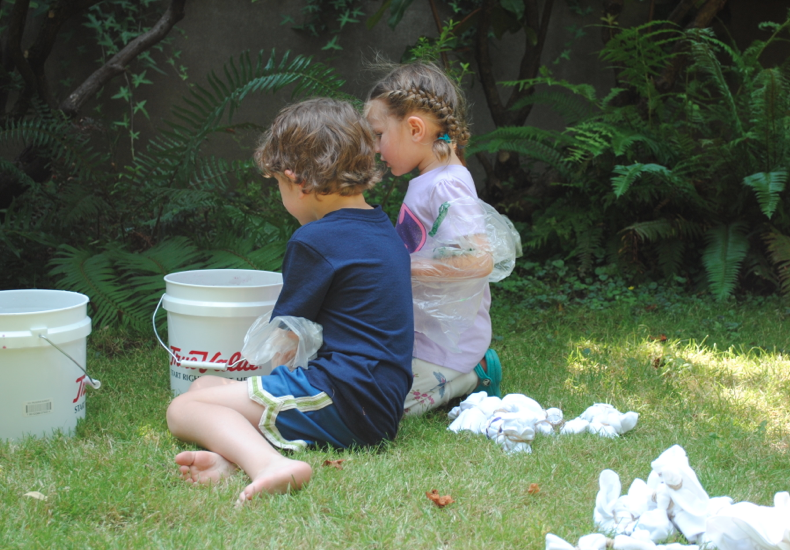 It was fun to put all the rubber bands on the clothing. Different rubber band formations led to different end designs. 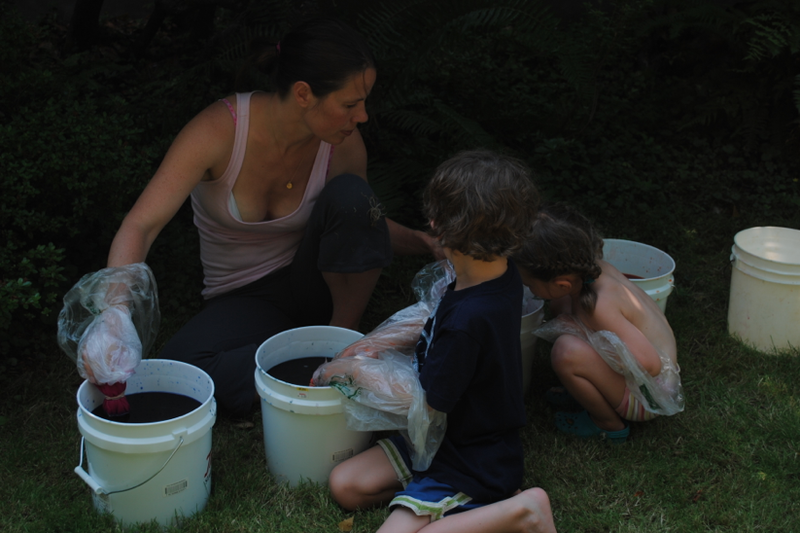 Unfortunately, once you dye in the buckets, you cant really use them again for cleaning around the house, because the buckets will be permanently dyed. We had four different color options: blue, green, orange and red. 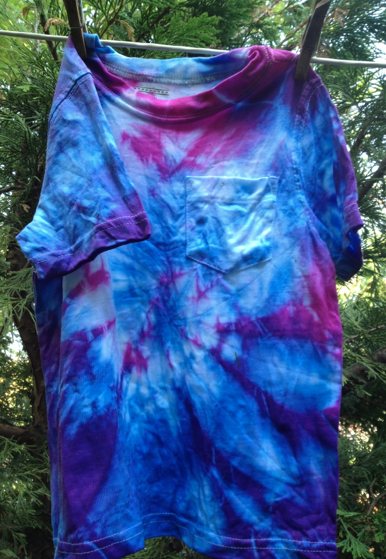 You mix the dye with the hot water. The nature hippies that we are, we used a stick from the garden to mix it together. 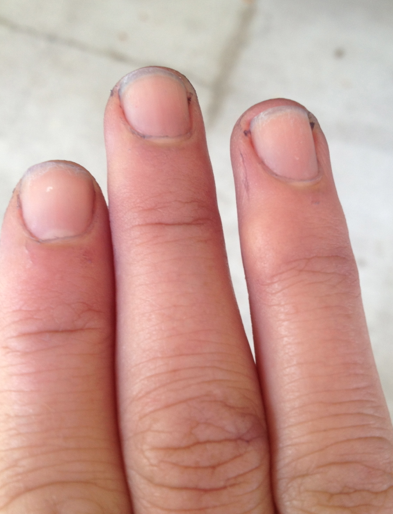 Since we didn't want to expose our direct skin to dye, we wanted to use gloves. But we couldn't find any. 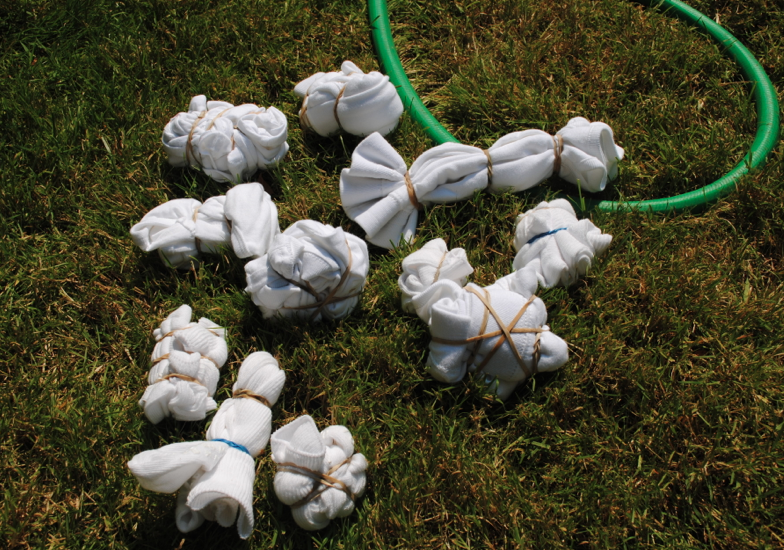 So we improvised and used plastic bags with rubber bands on the ends to make our own makeshift gloves. It worked perfectly. Mr. Cruz was antisocial and didn't want any part in the tie dying experience. He wanted to read Richard Scarry books and drink hibiscus tea instead. 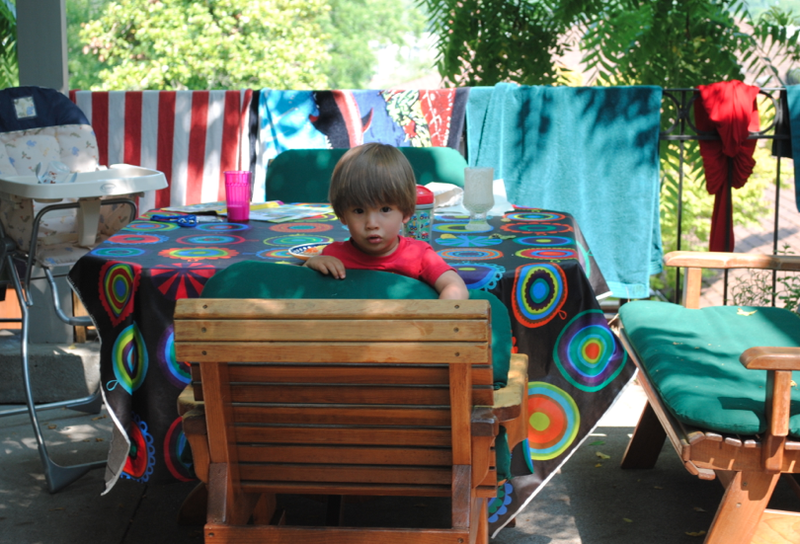 That said, every so often, he wanted to check out the scene and look to see what was going on. 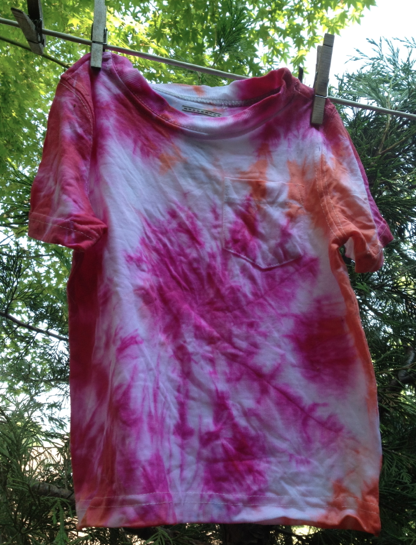 After mixing the dye with the water, you simply dip the shirts in the mixture for 4-6 minutes, take the rubber bands off, and hang dry. Socks. 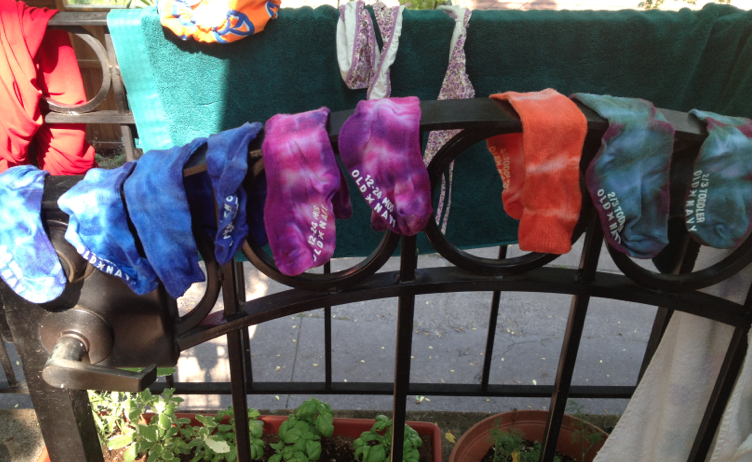 I personally am going to wear these tie dye socks with birkenstocks, a fanny pack, and cut offs. 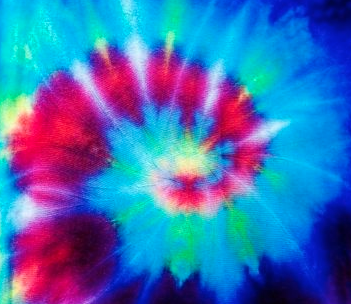 My research on you tube paid off, as this spiral looks perfectly psychedelic-ly awesome. Spiral 2. We made these as presents for friends, but they turned out so cool that I want this for Cruzzie! This was taken after many, many handwashes. 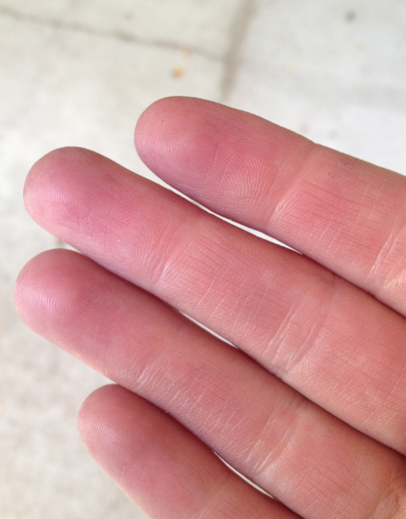 Purple hands. 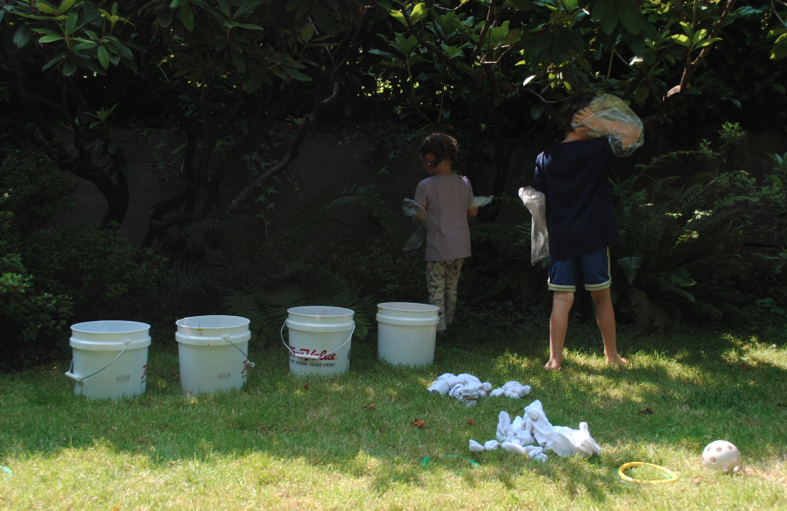 So, there you have it, that was our tie dye do-it-yourself project at home. It took a long time, a lot of organization, made a huge mess, and was not particularly engaging for a newborn and a 2.5 year old. That said, I had a lot of fun and am really happy with the clothes. 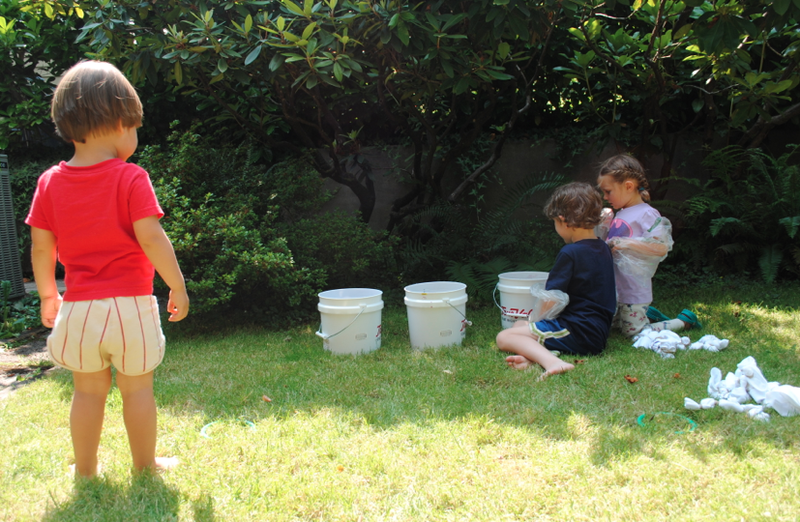 If you are in need of a summertime family activity, this is a great one! This brings back some wonderful childhood memories!! Thanks for sharing! Oh my god. 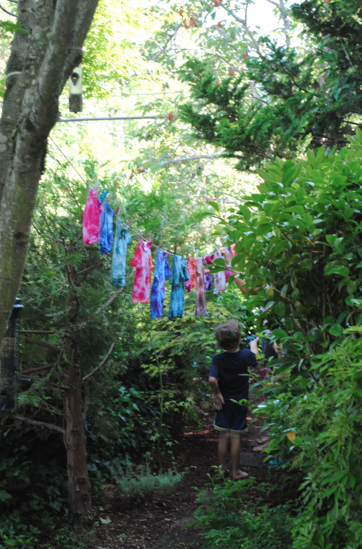 Tie dye lace leggings are a dream come true, and so can we do that when you are visiting Eugene?